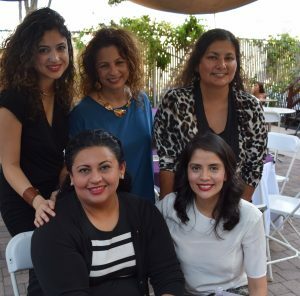 California Latinas for Reproductive Justice was founded on December 2004, when it was approved as a sponsored Project of Community Partners’ Incubators Program, and launched its initial program operations in 2005. CLRJ elected its first Board of Directors comprised of longstanding Latina leaders in January 2008, following its governance by a 14-member Founding Advisory Board from 2004-2007. CLRJ successfully applied for and received its 501(c)3 determination letter from the Internal Revenue Service in October 2008, and began its independent operations in January 2009. Since its founding, CLRJ has emerged as an important state level actor and has a growing profile at the national level. CLRJ has evolved to be the leading California-based Latina Reproductive Justice organization, and is the only California-based, statewide advocacy organization whose mission focuses specifically on promoting Latinas’ Reproductive Justice through policy advocacy, combined with community-informed research, community mobilization, alliance-building, leadership development and long-term movement-building strategies. On the national level, CLRJ also serves as a recognized leader in promoting a vibrant Reproductive Justice Movement on behalf of the most underserved Latinas, low-income women of color, immigrant women and their communities. CLRJ has impacted the policy arena at the local, state and national levels and raised the profile of Latinas’ Reproductive Justice needs within a policy context, by conducting policy analysis and advocacy, policymaker education via policy-briefings, policy briefs, fact sheets, research reports; and empowering and mobilizing Latinas to play an active and leading role in the policy process. In addition, CLRJ has deepened its alliances among Latinx, multicultural, youth and social justice organizations and advocates, which have resulted in major Reproductive Justice victories, such as repealing the HPV mandate for immigrant women and girls and mobilizing communities to defeat three California parental notification ballot initiatives. As a result, CLRJ has made remarkable inroads within the policy community, target allied organizations, community-based advocates and the funding communities in establishing itself as a recognized resource and leader in advancing systemic reproductive justice policy change. Its organizational growth and impact, along with an overall increased support in funding has also permitted CLRJ to increase its staff capacity, and is now comprised of nine dynamic Latina leaders, which has broadened CLRJ’s scope of work. Please visit Our Team to learn more. As we move into our tenth year” change to “With over a decade in operation, CLRJ is moving into a new phase of organizational accomplishments and growth. 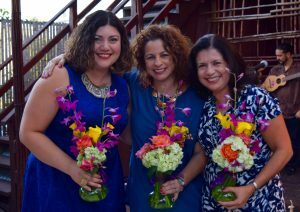 while continuing to ignite the Reproductive Justice Movement to advance Latinas’/xs’ reproductive health and justice.